Thermo Tec Ultra-Lite Insulating Floor Mat 18" X 18"
Ultra-Lite Insulating mat is a lightweight heat barrier that is perfect for track day cars or race cars that need lightweight protection from radiant heat getting into the drivers compartment. 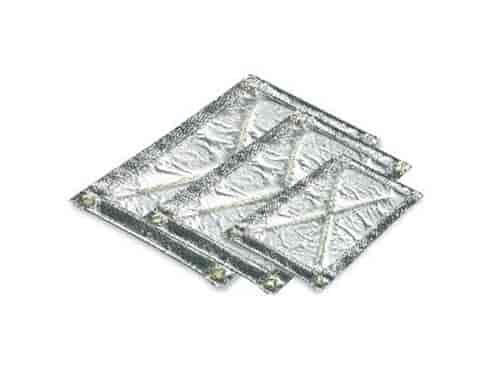 The Ultra-Lite mat is made out of a highly textured composite aluminum made out of a highly textured composite aluminum surfacing on one side, a durable Mylar facing on the other side and a high temp silica felt blanketing sandwiched in the center. Easily installed in floorboards, firewalls, and on doors.